Hogfish Realty is a full service real estate company serving all of the Florida Keys. 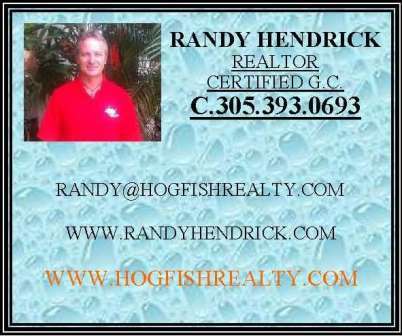 The real estate agents at Hogfish Realty are ready to serve your real estate needs and proudly represent you whether you are purchasing or selling real estate. Hogfish Realty serves Key Largo, Plantation Key, Islamorada, Tavernier, Matecumbe, Marathon, Key West and many other areas in the Florida Keys. Contact an agent today to get started with your next real estate transaction. We can assist you with the purchase or sale of your home whether it is a standard real estate transaction, short sale, Foreclosure purchase or long term rental.